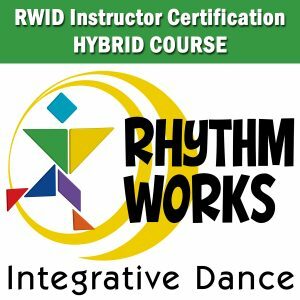 Our Hybrid Rhythm Works Integrative Dance Instructor Certification courses are perfect for anyone short on time. This format includes 8.5 hours of self-paced, online video education and a 1-day in-person workshop. The online portion of the course will be made available to attendees 60 days prior to the in-person portion of the course. The online portion of the course MUST be completed before attending the in-person workshop. INCLUDED: The 377-page Instructor Manual, access to ongoing support and The Rhythm Works Society (more info on the society at https://rhythmworksid.com/the-rhythm-works-society/), program music, and live-link listing as a certified instructor on the RWID website. 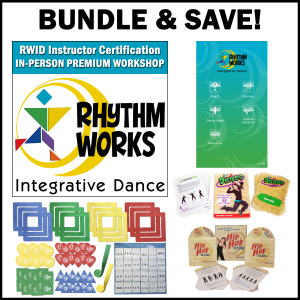 Rhythm Works Integrative Dance is a rhythm and dance program that incorporates evidence-based practices from sensory integration (OT), applications to physical skills (PT), and behavioral strategies (ABA). Tricia Gomez, Dance Education Master Teacher, is considered a pioneer in early childhood Hip Hop education. Her unique teaching methods have landed her on the Dr. Phil Show as their dance expert, & as the Head Judge of the CBS TV series “Dance Revolution.” She continues to be featured in top dance industry magazines across the world. Tricia is currently a contracted Teaching Artist for the Disney Performing Arts Program at Disneyland. Her Hip Hop Made Easy Curriculum is currently offered in over 2000 schools & dance studios across the world. Instructor Financial Disclosure(s): Tricia is the author of course materials that focus on the clinical and non-clinical application of RWID, for which she receives royalties for the continued publication and use of educational materials she has authored. Tricia is also an instructor for RWID, for which she receives a fee for teaching each course and reimbursement of travel expenses. Tricia receives compensation for the sale of RWID products which she has personally developed. Instructor Nonfinancial Disclosure: Tricia uses RWID in independently offered group classes. Deborah Rothman, PT, MSPT, C/NDT is a licensed pediatric physical therapist with over 15 years of experience in working with children of all ages who have individual learning challenges & physical abilities. She is also certified in Neuro-Developmental Treatment for children with Cerebral Palsy & other neuro-motor impairments. Deborah graduated from the University of Colorado in Boulder with a bachelor’s degree in Communication & received her Masters of Science in Physical Therapy from Regis University in Denver, CO. She began her physical therapy career working for Pediatric Therapy Network in Torrance, CA; a clinic known around the world for providing high quality treatment to children based on sensory integration techniques, taught by pioneer, Jean Ayres. It was here that Deborah completed a 6-month training intensive & received over 5 years of ongoing mentorship in Sensory Integration and Praxis. Instructor Financial Disclosure(s): Deborah is the author of course materials that focus on the clinical application of RWID, for which she receives royalties for the continued publication and use of educational materials she has authored. Deborah is also an instructor for RWID, for which she receives a fee for teaching each course and reimbursement of travel expenses. Deborah does not sell or receive compensation for the sale of RWID products. Instructor Nonfinancial Disclosure(s): Deborah uses RWID in clinical practice at Pediactric Therapy Network and independently offered group classes. Akemi Davies, MA, OTR/L has a long history of working with children in many settings. In 2004, Akemi received her Bachelors in Occupational Therapy with a minor in Psychology from Dominican University of California, and a Master of Arts degree in Occupational Therapy from the University of Southern California in 2005. She is also certified in administering the Sensory Integration and Praxis Tests (SIPT)& received advanced training in using DIR techniques. In addition to treatment, Akemi enjoys being a clinical instructor, participating in conferences, & volunteering. She has presented workshops about developing parent education programs at both national & state occupational therapy conferences. In 2012 she joined the Occupational Therapy Association’s Conference Committee where she became Conference Chair in 2013. Akemi was recently elected Treasurer of OTAC for the 2016 term. Instructor Financial Disclosure(s): Akemi is the author of course materials that focus on the clinical application of RWID, for which she receives royalties for the continued publication and use of educational materials she has authored. Akemi is also an instructor for RWID, for which she receives a fee for teaching each course and reimbursement of travel expenses. Akemi does not sell or receive compensation for the sale of RWID products. Instructor Nonfinancial Disclosure: Akemi has used RWID in clinical practice at Love 2 Learn Consulting. Dr. Shaana Berman, Ed. D, Early Childhood Special Ed. is an accomplished early childhood development specialist and educational consultant in the Los Angeles area. She holds a Masters degree and teaching credential in Early Childhood Special Education from California State University, and an Educational Doctorate with an Educational Psychology concentration from the University of Southern California. Since 1998, Dr. Berman has worked in both private and public settings since to teach academic skills, reduce maladaptive behaviors, and increase functional and social skills among a variety of populations including but not limited to: students with autism spectrum disorders, ADHD, cognitive delays, genetic syndromes, processing disorders, and physical disabilities. Dr. Berman has designed and delivered graduate-level curriculum, has trained public school staff, and has conducted parent education workshops. Her philosophy is that all children can learn, given the right type of supportive instruction. Instructor Financial Disclosure(s): Dr. Berman is the author of course materials that focus on the clinical application of RWID, for which she receives royalties for the continued publication and use of educational materials she has authored. Dr. Berman is also an instructor for RWID, for which she receives a fee for teaching each course and reimbursement of travel expenses. Dr. Berman does not sell or receive compensation for the sale of RWID products. Instructor Nonfinancial Disclosure: Dr. Berman uses RWID in clinical research for her BCBA. •Identify common presentations of sensory integration challenges and possible best practices to get the client/student into an optimal learning state. •Identify physical and cognitive challenges and demonstrate potential modifications of content based on the abilities of each client/student. •Customize an effective program that meets the elements of each client’s/student’s individual therapy goals. •Identify antecedents, behaviors, and consequences and effectively encourage desired adaptive responses. •Identify, replicate, and teach rhythm patterns, musical sentences, and music theory/structure. •Identify and demonstrate developmentally appropriate choreography structure. 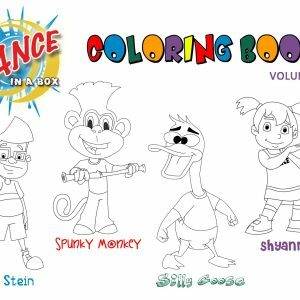 •Facilitate activities/dance games that incorporate skills from the 5 developmental domains. Cancellation requests must be done via email to admin@rhythmworksid.com and refunds will be determined by date stamp of email. Refunds are available minus the following Cancellation Fees: $30 if cancelled before 60 days prior to the 1st day of the workshop and beginning the online portion of the course, 50% of the workshop fee if cancelled between 31-60 days prior to the 1st day of the workshop and the online portion of the course has been accessed, 75% if cancelled between 15-30 days prior to the 1st day of the workshop and the online portion of the course has been accessed, NO REFUNDS starting 14 days prior to the 1st day of the workshop. A minimum of 70% must be scored on the written exam, both online and in-person, in order to pass and become a Rhythm Works Integrative Dance Certified Instructor. 18.5 hours will be awarded upon completion of the online course and in-person portions of the course.